If asked, you would be hard-pressed to pick out the former alcoholic who had just been hired by this busy downtown office. Everyone in the burbling workplace looks professional, motivated and is quick with a smile and a warm hello. And, that’s just what Kate Perkins, WorkWithUs Foundation Operations Manager, likes to hear. WorkWithUs is the brainchild of the Streetohome Foundation and TPD, a workforce and HR work solutions company. The new WorkWithUs Foundation provides formerly homeless or marginalized individuals with an opportunity to participate more fully in society by providing employment opportunities aligned with their capabilities and preferences. So far, WorkWithUs has matched individuals with employers in office environments, manufacturing and warehousing. WorkWithUs supports individuals to become “work-ready,” providing coaching and training, and followup after onboarding to a new job. In return, employers benefit from a highly-motivated individual, and can take pride in helping to strengthen the fabric of their community. Dressed in a smart black top, dress pants and boots, Maya* looks like any other ambitious young woman with a promising future. However, she ruefully admits that her late teens and early twenties were lost to alcohol addiction. After a series of week-long stays at detox centres, she knew she needed a longer term program to manage her alcoholism. “I was 25 years-old and realized that I had spent the first half of my 20s binge-drinking and had nothing to account for it,” says Maya. After her last detox, she went to a treatment facility where she stayed for four months, followed by second-stage housing for another seven months, where residents learn new life and coping skills to prepare them to live in the community. The skills individuals learn when they’re living in second-stage housing also prepare them for working well with others. 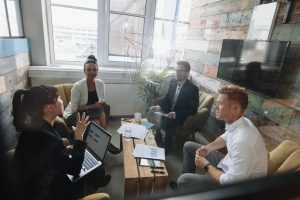 “Accountability to others is a key principle of recovery, and someone learns pretty quickly that if they’re not doing what’s expected, they’ll find themselves on the outs.” There are a lot of transferable ‘soft skills’ individuals learn on their journey, including conflict resolution, being able to receive constructive feedback, and communicating effectively. Maya’s new job is providing a renewed belief and confidence in herself. 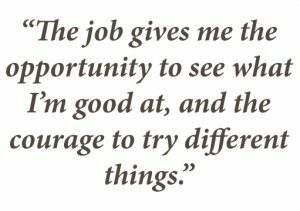 “The job gives me the opportunity to see what I’m good at, and the courage to try different things,” says Maya, who previously only held short-term jobs. “A commitment to sobriety and recovery is a skill set that any employer should value. Those are the same traits that an individual brings to the job that makes them successful,” Diane continues. There’s no doubt that work is an important part of Maya’s recovery. If you’re interested in learning more about WorkWithUs, please contact Kate at 604.305.0409, [email protected] or book a meeting.